But where is Governor Cuomo? Though Chris Christie had a relatively successful appearance at the Conservative Political Action Conference (CPAC) last week—despite his mediocre results in CPAC’s straw poll, won by Rand Paul—back home in New Jersey it looks like the noose is tightening. And yesterday, in a New Jersey courtroom, lawyers for two former Christie aides, Bridget Anne Kelly and Bill Stepien, both ousted in the Bridgegate scandal, pleaded with a judge to quash subpoenas demanding their emails and other records. Over the past several days, various newspapers—including The New York Times, The Wall Street Journal, the Newark Star-Ledger and the Bergen Record—have each reported that the US attorney for the Southern District of New York, Preet Bharara, issued and then withdrew a subpoena asking the Port Authority to hand over records, including e-mails, pertaining to Samson’s conflict-of-interest problems. Since the start of Bridgegate, there has been a deluge of reports that Samson, who had power over the awarding of huge construction and development contracts by the PA, apparently used that power to benefit his law firm, Wolff & Samson, which represented many of the developers and construction firms. A very detailed accounting of Samson’s political influence was published this week by The Asbury Park Press, and Christie Watch has reported on the Samson story here, here, and here. There are questions about why Bharara issued the subpoenas and then withdrew them. Apparently, he withdrew them in order to clear the way for Fishman, in New Jersey, to reissue them and look into Samson’s activities as part of his broader investigation. But why did Bharara issue them in the first place? To prod Fishman? More likely it was to provide political cover to Fishman, since he can assert that the inquiry into Samson began in New York and that he is just following up. Underneath these and other seamy details lies a fundamental truth: the Port Authority needs fundamental reforms. And it should be run by professionals, not political hacks like the 50 or so political associates Mr. Christie has put into jobs at the authority. Mr. Christie owes it to the millions of people who use and pay for the Port Authority’s facilities to find professionals to do these jobs. And he can begin by telling Mr. Samson it is time to retire. The chairman of the Port Authority is an appointee of the governor of New Jersey and I will leave it to the governor of New Jersey to make that decision. 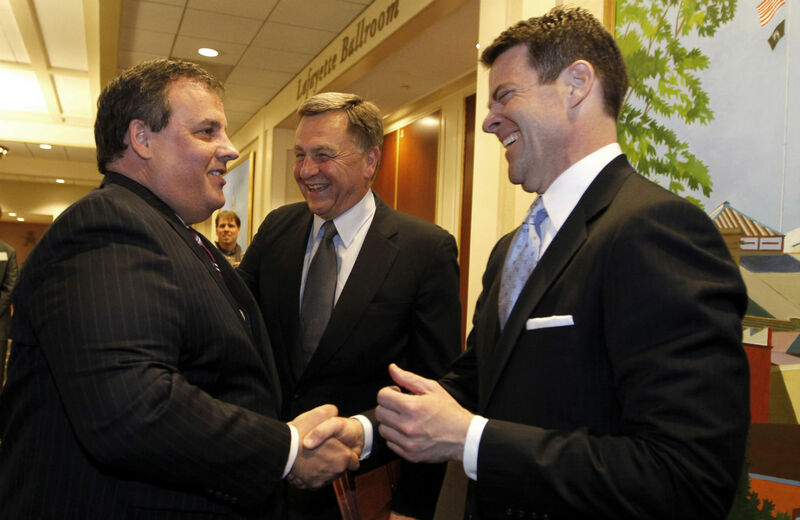 Several former PA officials who spoke to Christie Watch on background said that ever since taking office Governor Cuomo and his appointees at the PA, including Foye and half a dozen PA commissioners, seemed willing to play ball with the Christie-Baroni-Wildstein machine at the agency. Though it appears, so far at least, that Cuomo and his allies didn’t used the PA as a patronage machine the way Christie and Samson did, the New York governor and his team traded favors with the New Jersey team. When New York wanted something from PA, such as money for the rebuilding of the World Trade Center, Baroni and Wildstein said in exchange that they wanted the PA to hire a list of Christie appointees. The New York Times and other papers have called for sweeping reforms at the PA. According to several accounts, when Baroni and Wildstein were at the agency, they ran a two-fisted political campaign to get done what Christie and Samson wanted. It was outright political patronage, and it helped Christie build his political machine in New Jersey, winning the support of mayors, local officials and construction unions. (That’s why the Newark Star-Ledger called it a “slush fund.”) But it isn’t known exactly when Governor Cuomo realized the extent of the Port Authority shenanigans. Certainly, he knows now. But what did the New York governor know and when did he know it? And what is he going to do about it?